Another final for Barça and another addition to the trophy room at the FC Barcelona Museum. The blaugranes’ stunning 5-0 victory over Sevilla at the Wanda Metropolitano stadium means they now have a record 30 Copa del Rey titles, the last four coming in the last four seasons. Ernesto Valverde is a cup expert having won the competition in his playing days at Barça and also as a coach, winning the Greek equivalent of the Copa del Rey twice with Olympiacos. The final against Sevilla in the Wanda Metropolitano was the 22nd for the club in Madrid. Last season’s success came at the Vicente Calderón Stadium with victory over Alavés in the last ever fixture at Atlético Madrid’s former home. 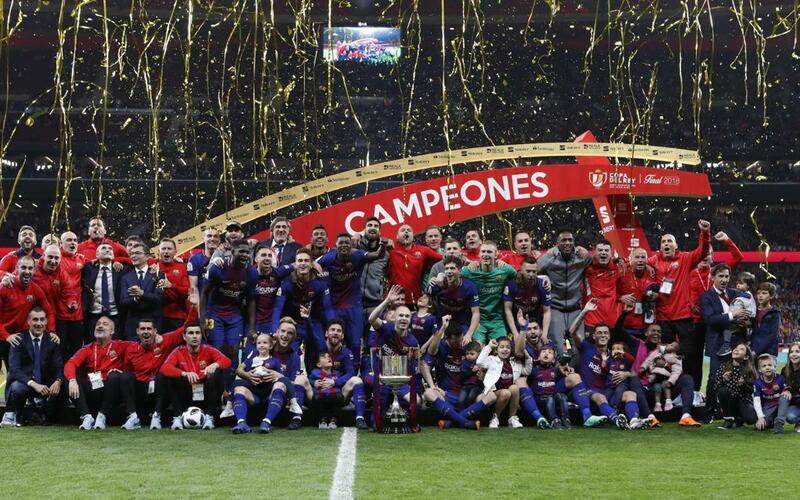 Barça have lost just six finals in the city and in their last six in Madrid (1988, 1997, 2012, 2016, 2017 and 2018) have ended with the blaugranes lífting the trophy.